Anrui wasn't always like this. Once, it was peaceful... then, the ROT scare began. 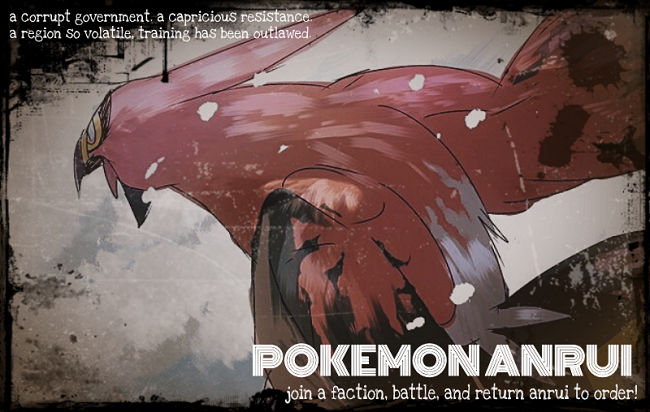 Now contact with Pokemon is illegal unless you're part of Plasma; the region is locked in a brutal war between two factions, each with their own vision for a better tomorrow. It's been more than a decade, and the island has rotted.